Haunted places located in South Carolina are a tapestry woven from historical events of the Revolutionary War, Civil War, plantation homes, and slavery. Bone-chilling ghost stories tell of haunted plantations, cemeteries, and an old hospital. These make for some spooky places to visit in South Carolina guaranteed to scare the most seasoned ghost hunter. The Magnolia Plantation and Gardens was founded by the Drayton family in 1676 and later operated as the "oldest public tourist site in the Lowcountry" beginning in 1870. By the 1980s, the plantation had fallen into disrepair and in 1994 was donated to the National Park Service. The plantation and gardens have been restored, and the site is open year round. Ghost stories abound on the premises with the plantation being viewed as one of the most haunted sites in the US. Its history certainly lends itself to a wide array of ghosts. The plantation has been investigated by several paranormal investigators including Travel Channel's Ghost Adventures and Syfy's Ghost Hunters. EVP of a woman asking, "What are you doing?" Ghost Adventures reports that even though many accounts reflect that the plantation slaves were well-treated, the reality can be seen by the haunting signs that this wasn't the case. For example, the team examined leg stocks that were used to punish the slaves. Journals recount how the slaves that escaped the plantation were hunted across the country to Texas. According to the July 10, 2015 investigation, the slaves practiced "dark" voodoo to curse and cast spells on their masters. The grave crosses forged by the slave blacksmiths also bore various voodoo symbols. Another important paranormal narrative tells how the plantation house was damaged during the Civil War and repaired in 1897 with wood stripped from the slave quarters. Many believe that these planks are impressed with the sufferings of the slaves and fortified the spirits already haunting the mansion and grounds. 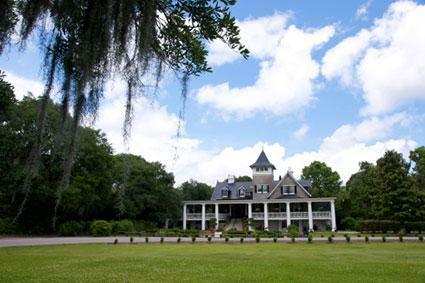 You'll find the Magnolia Plantation at 3550 Ashley River Rd., Charleston, SC 29414. It's open 365 days a year, including all major holidays. The Yorktown sunk at the Battle of Midway in June 1942. The Bon Homme Richard, a newly commissioned carrier, was renamed Yorktown and fought in the Pacific Offense during last 16 months of World War II. A highly decorated crew, the Yorktown received 11 battle stars and was also the recipient of the Presidential Unit Citation. It wasn't until 1970 that the haunted ship was decommissioned and in 1975 found its final home in Charleston, SC and became the Patriots Point Museum USS Yorktown. 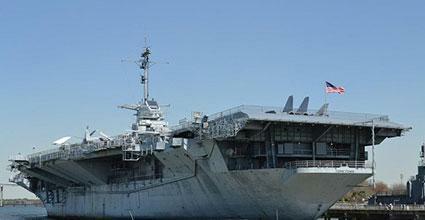 Scares and Haunts of Charleston (SHC) reports that 141 men died onboard the USS Yorktown, and the museum staff have witnessed the reputed paranormal activity. Staffers report very distinct apparitions that they were able to identify as being ghosts of the ship's crewmen. South Carolina ETV conducted a paranormal investigation in 2014 and at the end of the show delivers some powerful video reveals. The team discovered the evidence while screening videos and photographs. None of the team witnessed the phenomena at the time they happened. The team captured a very clear EVP as well as an apparition that appears in two photos, which you can see below. Visit this site at 40 Patriots Point Road, Mount Pleasant, SC, open daily 9:00 am to 6:30 pm, except Christmas Day. USS Yorktown Ghost Tours conducts public tours of the ship and arranges and leads private ghost hunting investigations as well as those for paranormal investigative teams. A National Historic Landmark, the Old Exchange Building was originally called the Exchange and Custom House. Construction began in 1767 and was completed in 1771. The British converted the building during the Revolutionary War to serve as barracks and the basement became a military prison known as the Provost Dungeon. After the war, the building was reverted back to a hub for imports and exports. The building is steeped in the history of early colonists, tales of pirates such as Blackbeard and the gentleman pirate Stede Bonnet, and the brutality of the slave trade where auctions were held on the street outside the Exchange. According to SHC, the old Provost Dungeon was hidden underneath Charleston's hub for political and social life. In the putrid air of the lightless dungeon, prisoners were chained to the walls." The prison population was a mix of patriots, thieves, murders, and pirates waiting to be hanged. The Washington Post reported about a ghost walking tour and how the guide spoke of Isaac Hayne, a patriot imprisoned by the British in the Provost Dungeon. After Hayne's execution, witnesses reported hearing his disembodied voice and ghostly footsteps at night. 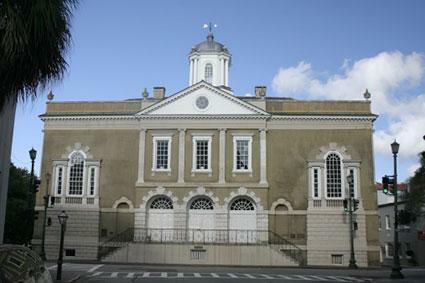 You'll find the Old Exchange Building at 22 East Bay Street Charleston, SC 29401. Open 365 days a year from 9:00 am to 5:00 pm. Haunted Places recounts the story of the haunting of All Saints Episcopal Church in Pawley's Island, SC. The church cemetery is the resting place of a young woman whose tombstone reads "Alice." It's the gravesite of Alice Flagg who was the sister of two very wealthy doctors in Murrells Inlet. Poor Alice fell in love with a lumberjack, who her brother felt was much below her station. When the young man gave her an engagement ring Alice's older brother insisted she return the ring. Deceiving her brother, Alice wore the ring on a ribbon tied around her neck hidden beneath her clothing. Her brother promptly shipped her off to a boarding school in Charleston but Alice longed for her beloved and soon succumbed to malaria. Her brother rode to Charleston and brought her back home. When he discovered the ribbon and ring, he tossed the ring into the marsh. 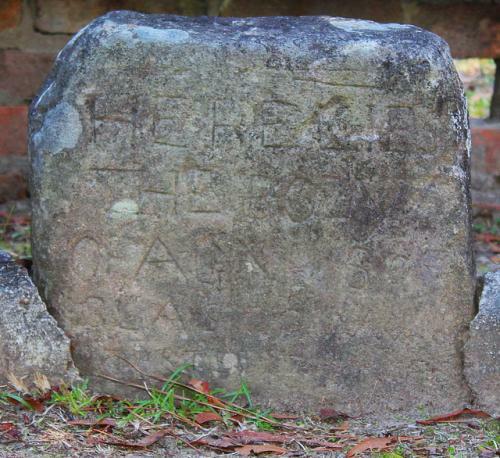 Soon after, Alice died and was buried in a white dress in the church cemetery on Pawley's Island. Witnesses claim to see her dressed in white and wandering about the cemetery, clutching one hand to her chest as she desperately searches for her lost ring. You can visit Alice's gravesite at 3560 Kings River Road, Pawleys Island, SC, 29585. The haunted cemetery is beside the church and accessible to the public. Also known as The Devil's Castle, the Old Tuberculosis Hospital (operational in the 1930 to 1950s) later became a work release prison, and at one time it's said to have been an insane asylum. Eventually abandoned, vagrants took over the building and it was accidentally burned down in 2002. Prior to its destruction, reports were rampant with ghostly figures, sounds and happenings. Bloodcurdling screams came from the first floor. Witnesses reported hearing footfalls that suddenly broke into a run. People reported being pushed while investigating the third floor. Those pushed also heard "loud clattering" coming from the halls. Objects moved on their own. Disembodied singing voices have been heard. This site was located at 220 Beverly Road, Greenville, SC. No trace of the building remains, though you can still visit the spot where it stood. 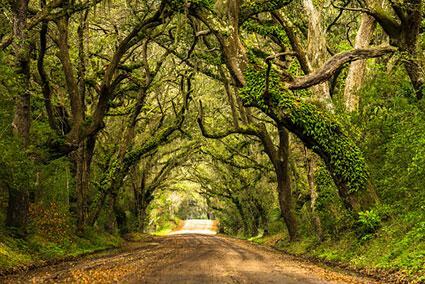 St. Helena Island is one of the Sea Islands, a chain of barrier islands along the South Carolina coast. St. Helena is located in the Port Royal Sound. The mystery of the island is the Land's End Light, which is seen when traveling along the lower tip of the island known as Land's End. Driving past the Hanging Tree where runaway slaves were hanged, drivers are advised to park their cars and turn off the headlights. What happens next is that a single headlight appears to be traveling down the road. Eyewitnesses claim that when the light passes, it leaves a static electrical charge in its wake. Some people have reported that the light overtook them while they were speeding away from it. 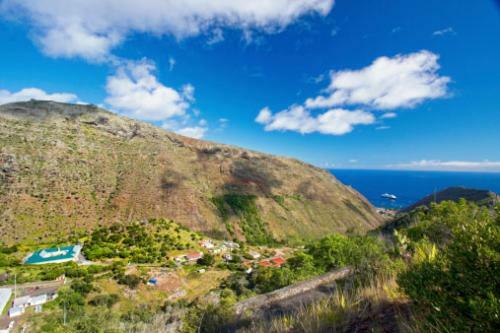 The island was a hotspot in the 1970s with the Sheriff's department reporting that many nights there were at least 100 cars parked waiting to see the light. Two people died when they attempted to chase the light and crashed. Scientists have studied the light but have no explanation for the phenomenon that appears on a regular basis. South Carolina's Information Hiway (SCIWAY) reports that the light "soft white light floating several feet above the highway." The SCIWAY also warns that is the motorist attempt to start the car, the light will vanish. The writer, Barry Gooch, recounts how one night he was parked underneath the hanging tree with his girlfriend and they witnessed the phenomenon. The couple watched as the orb of light slowed down and drifted over to their car. Terrified, they sat in trance as the orb "hovered over the right front fender." Gooch started the car and the orb vanished. Visit the island and the light at Port Royal Sound. Park underneath the hanging tree if you're brave enough. Known as Agnes of Glasgow, the ghost of a 20-year old Scottish lass is said to haunt the town of Camden. According to Find a Grave, Agnes was born in Glasgow, Scotland in 1760. Author Daniel W. Barefoot writes in his book Spirit of '76: Ghost Stories of the American Revolution that Agnes followed her British lover Lieutenant Angus McPherson who'd been sent to America during the American Revolutionary War. In 1780, Agnes arrived by ship in Charleston only to learn that McPherson had been wounded and was at a hospital in Camden. She was befriended by the famous Native American King Haigler of the Wateree tribe who escorted her to Camden. Barefoot recounts the reunion of the lovers as short-lived with McPherson succumbing to his wound and dying in Agnes's arms. Barefoot writes that Agnes was "overwrought" with grief and "flung her body over that of her lover and died of a broken heart." Other accounts claim that Agnes never found her lover. Upon reaching Camden, she became ill and died. King Haigler buried her in the Old Quaker Cemetery. Her vaporish apparition has been seen in the Old Quaker Cemetery and along the streets and rural roads of the town in search of her lover. The Old Quaker Cemetery is located at 713 Meeting Street, Camden, SC, 29020. The gravesite is marked and located near Old Quaker Cemetery gate. 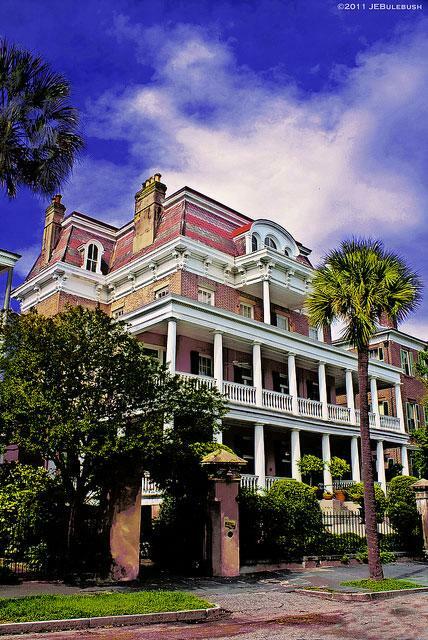 Built in 1840, the Battery Carriage House Inn is said to be haunted by guests and often referred to as the most haunted house in Charleston. Inn owner Drayton Hastie keeps a record of the inn's ghostly residents, although he states neither he nor his wife have ever witnessed any of the phenomena their guests report. Guests have reported a headless torso standing over the bed. One guest described "reaching out and touching the coarse material of the apparition's overcoat." The same guest also recounted that the ghost had "raspy breathing" that quickly became a more threatening sound. Another guest was awoken in the early morning hours. She witnessed the shutters in her room lifting up and down along with shadows. Her husband saw a "frosty apparition of a human face." An apparition was seen floating through a closed door. It moved over to the bedside of a woman and lay down beside her, drawing his arm around her shoulders. Another female guest felt she was being watched and recited a Bible verse, instantly feeling the presence leave. The next morning disembodied footfalls followed her down the hall. Later, she saw someone and turned to greet them, but no one was there. Another guest set up a video camera and for two recorded hours the camera went in and out of focus, as though someone is moving between the camera and the bed where the woman and her daughter were sleeping. The shadow of a man standing at the window alerted yet another female guest. These are just a few of the many ghost stories that guests at the inn tell. Battery Carriage House is located at 20 S. Battery , Charleston, SC 29401. You can reserve a room or book a ghost tour directly through the hotel. Numerous ghost stories surround Converse College. The college opened in 1890 founded by a group of Spartanburg citizens, including cotton mill industry leader Dexter Edgar Converse. Hazel B. Abbott Theatre: Miss Hazel's presence is felt as cold spots and unexplained noises coming from the prop room. Williams Dorm: The laundry room is haunted by a friendly, small boy who was from the era when the campus was a boarding school. Pell Hall: The ghost of a young student, who in the early 1900s jumped from her dorm window into the arms of her lover who failed to catch her, is seen "running down the hall." 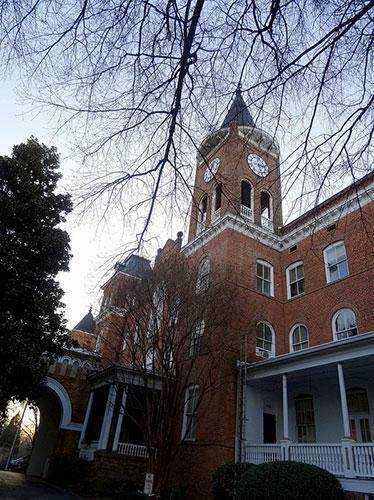 Wilson Hall: The stairway leading to the bell tower is the scene of an angry ghost. According to lore, two men argued and one fell from the tower to his death. The victim haunts the hall and has demonic red eyes. Pell Hall: Another girl, Betty Payne, hanged herself in the dorm. It's claimed that the door, although repeatedly painted, still reveals a rope and noose along with the outline of her body. She isn't a nice ghost and locks students out of their rooms. Evans Building: This structure was a high school prior to being converted for campus offices. It's said that the sound of squeaky tennis shoes and the dribbling of basketballs can be heard coming from the basketball court along the upper balcony. Disembodied footfalls have also been heard in the hall. Converse College can be found at 580 East Main Street, Spartanburg, SC 29302. Students have access to all campus buildings. Is it myth or is the Greenville Embassy Suites haunted? The stories began during the construction of the hotel. The construction came to an abrupt halt, and the site stood in limbo for two years. The legend states the investors were staying on the grounds, but suddenly left and pulled their financial support. It's implied that some kind of haunting occurred that frightened off the investors. The stories of the construction site being haunted continued. For example, the South Carolina Paranormal Research and Investigations (SCPRAI) unit reports that the Greenville police received numerous reports, before the building had the electricity turned on, that lights were seen in the building and someone was living in the rooms. Even though the police investigated and discovered the building was secure, the reports continued to plague the department. You'll find The Embassy Suites at 670 Verdae Blvd., Greenville, SC 29607. Visit the website to make reservations. These are just a few of the many ghostly places steeped in the rich history of South Carolina. 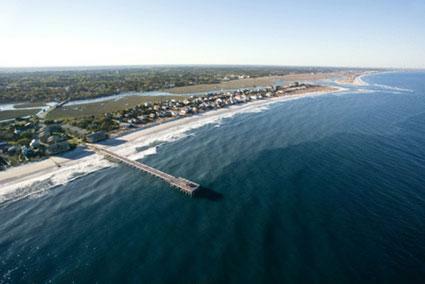 From the earliest days of settlements in the mid-1600s up until present day, the paranormal elements are attracted to this coastal state.